Around The Office - August 2015 | Rocco & Associates Wealth Management, Inc. Your entire team participated in the town of Fairfield’s Annual Sidewalk Sale on Saturday, July 18th. We set up a booth downtown on the Sherman Green where we were able to continue to raise awareness for our Raising Financially Aware Kids campaign. In October, working with the Chamber of Commerce, we will conduct two town wide financial literacy programs for parents, with the goal of helping them raise financially aware children. These programs will take place on Wednesday, October 7th at 6:30 P.M. and then again on Wednesday, October 14th at 9:30 A.M. at a location to be announced. These events are free to attend and you don’t have to be a resident of Fairfield to participate. If you would like to find out more about the programs or would like to pre-register email [email protected] for more information. 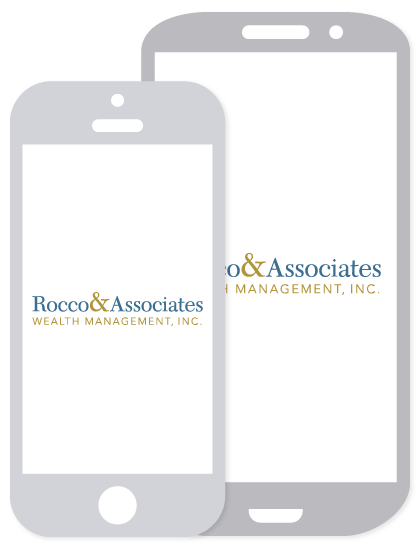 At Rocco & Associates we are always on the lookout for changing financial market conditions and their effect on our clients’ accounts. However, we are always happy to take another look at all of your retirement assets and review them with you anytime. Our most important job is helping you develop a comprehensive financial plan across all of your financial holdings. It is important that we know about all of your retirement assets, regardless of where they are held. Only with full knowledge of your entire retirement situation can we tailor our advice to meet your specific needs, wants, and wishes. If you have any questions or want to review your retirement plan, please don’t hesitate to give the office a call at 203-255-6022. We strongly believe that we must always be looking for new ways to leverage technology to improve your overall client experience. Our recent investments into our firm’s technology has made us an industry leader and made our financial planning experience more robust than ever. One new financial planning technology provider is MoneyGuidePro®. This web-driven financial planning software is goals based and adaptable to each and every one of your unique financial needs. This program allows us to collaborate with you like never before in the areas of college planning, retirement planning, including social security, estate planning, asset allocation, and insurance needs analysis. If you would like to make a special appointment to see your entire financial picture in one place and receive a real time personal financial assessment, please email [email protected] to make an appointment. You will be glad you did! Over the past three years, Rocco & Associates continues to get more involved within the Fairfield community where we have operated for over 40 years. One of the ways we do this is through our active participation in the Fairfield Chamber of Commerce. Our involvement keeps us aware of what is going on in and around town, ranging from local governance to the development of new business ventures. Eric Johnson, Vice President of Business Development, was recently elected to the board of FELO (Fairfield Emerging Leaders Organization). This group’s mission is to provide a platform for young professionals within the Fairfield Chamber of Commerce, to connect with individuals to enhance their professional skills, while promoting social and civic opportunities for the enrichment of our business community.